For Series 3 (DC315xx and DCR315xx) and Series 5, they also have a multi-colour halo light feature that is able to assist the user to visually distinguish between different activations. I have hearing impairment and need a loud or louder doorbell, which is the loudest Honeywell doorbell available? CAUTION: Permanent hearing damage can occur at levels higher than 90dB. We recommend using several doorbells to cover larger homes. The longest wireless range available on a Honeywell Home wireless doorbell is 200m (measured in open field). The Mute and Sleep timer features offer disturbance-free options for nap-times and movie nights - Available on all Honeywell Home Doorbell series (except DC311xx, DCR311xx). The Halo Light and LED Strobe features use light and colour to provide visual alerts for the hard of hearing as well as accentuating asthetics - Available on all Honeywell Home Doorbell series (Except DW311x, DCR311x). How do I locate the product code for my doorbell? Either look at the bottom of your doorbell, or inside the battery cover, and locate the grey rating label. On the label, there will be a product code starting with 2 or 3 letters, then 3 digits, followed by some other letters. For example, DC315xx, DC515xx, and so on. How do I add my name to the name plate on my push button? DCP511x wireless push buttons are provided with a name plate to allow you to write your name or house number on the push button. You will need a small flat bladed screw driver and a permanent ink pen. Remove the transparent cover with the screwdriver to access the name plate. Write your name on the insert card and refit the transparent cover. How do I de-link or remove a push button from my doorbell? I have no receipt for my doorbell or alarm kit, can you help with a Guarantee claim? You will generally need a receipt as proof of purchase to make a claim under the Guarantee. If no receipt is available, Honeywell Home Customer Services may be able to help establish a date of manufacture. 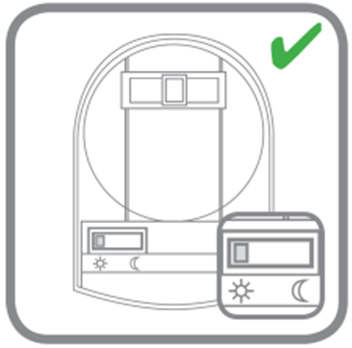 If your doorbell or alarm kit was manufactured within the Guarantee period we can still honour the Guarantee as a good will gesture, even though we are under no obligation to do so. The confidence light on my push button flashes 5 times when the push button is pressed. All push buttons are provided with a confidence light. This light will flash 5 times when the push button battery needs replacement. My push works intermittently, what could be causing this? In cold conditions, poor location or environment, and when the doorbell system is operating at the maximum range, it is advisable to replace the batteries more frequently (i.e. every 12–18 months) to maintain optimum performance. Replace batteries immediately when the low battery indicator is activated. 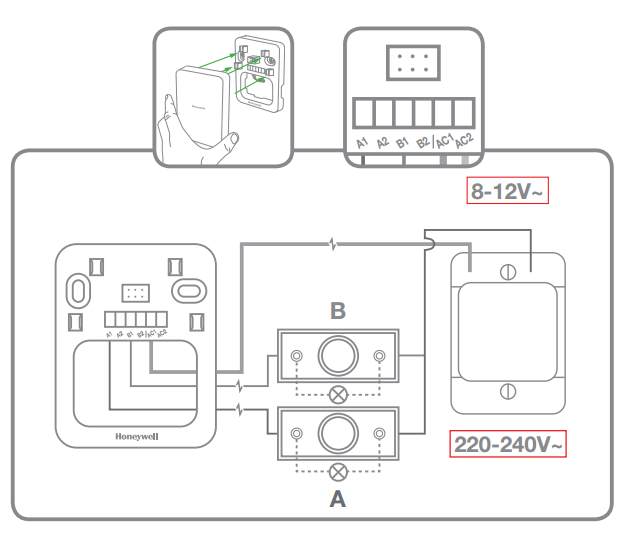 Incorrect installation of the CR2032 coin cell battery may also damage the battery contact. Check the battery contact and reinsert the battery. Download additional melodies from this section to customise your DC917xx doorbell.